Celebrate Japanese culture with this cute and furry little icon Hello Kitty! 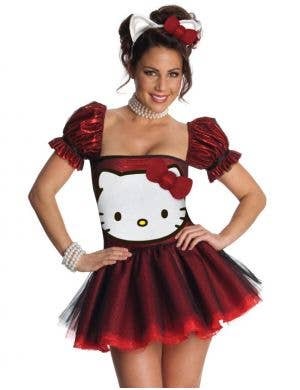 Here at Heaven Costumes you will find a great range of women's Hello Kitty costumes in a variety of styles to suit your fancy dress needs. This friendly little white bobtail pussycat may only be 5 apples tall but dressing up in your very own Hello Kitty costume will pack a punch at your next animation themed fancy dress party. Officially licensed adult Hello Kitty outfits, add your own coin purses and hair bows for a complete cultured look!